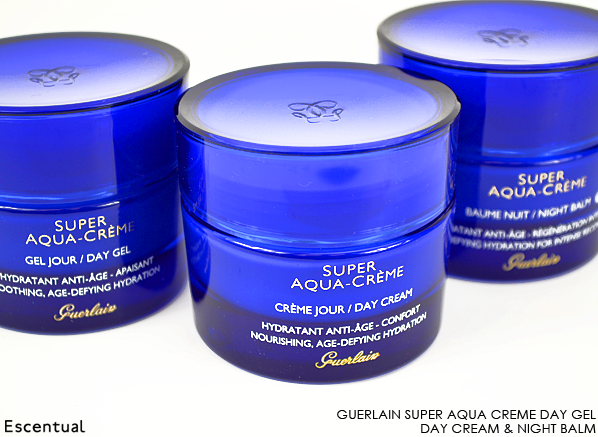 Guerlain’s ultra luxurious rehydrating range, Super Aqua, has been extended and revamped this month. 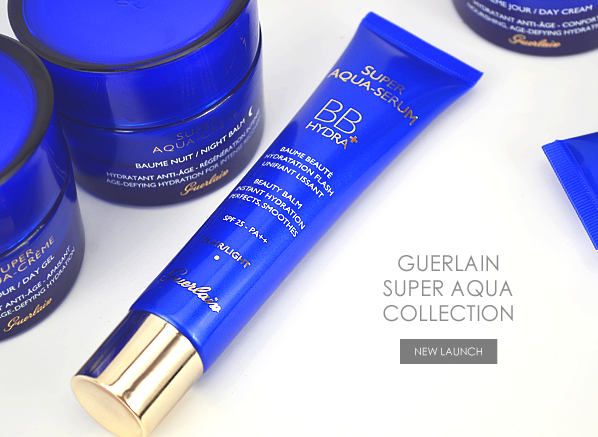 It now features three new-look daily moisturisers – two for the day, one for night – and another seriously exciting addition: the Super Aqua BB Hydra Beauty Balm, a skincare/make-up hybrid that will make Guerlain skincare fans go wild! The Super Aqua collection provides high-tech care for dehydrated complexions. Designed to optimally hydrate the skin and combat wrinkles by purifying cellular water, it restores plumpness and radiance while reinforcing the skin against further aggressions. It’s a collection with a seriously loyal fan base, too: one bottle of the Super-Aqua Serum is sold every five minutes around the world. The revamped moisturising creams are available in two different textures for daytime, with a more compensating balm to use in the evening. The Super Aqua Creme Night Balm has such an indulgent, pampering feel on the skin. Enriched with antioxidant peach leaf extract, it helps to repair the damage caused by free radicals during the day, and supports the regeneration of cells overnight. Its decadent texture and the massage process required to apply the balm transforms your nighttime routine into a gorgeous ritual. 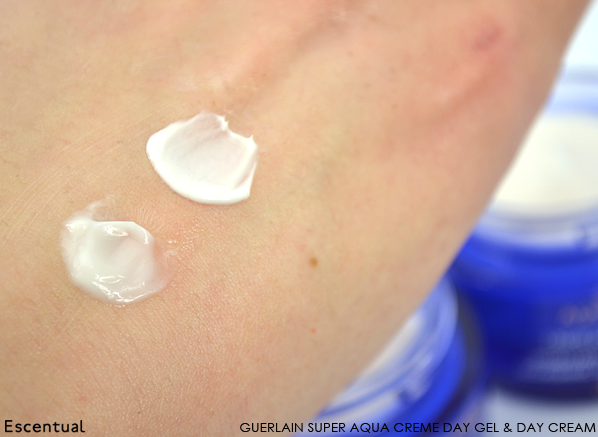 The Super Aqua Creme Day Gel, unsurprisingly, has a lovely gel-creme texture. It feels so fresh and pure on the skin, providing a satiny veil of moisture for normal/combination/oily skin types, which sinks in straight away. It has a lot of slip so a very small amount is needed to cover the entire face, neck and decollete. 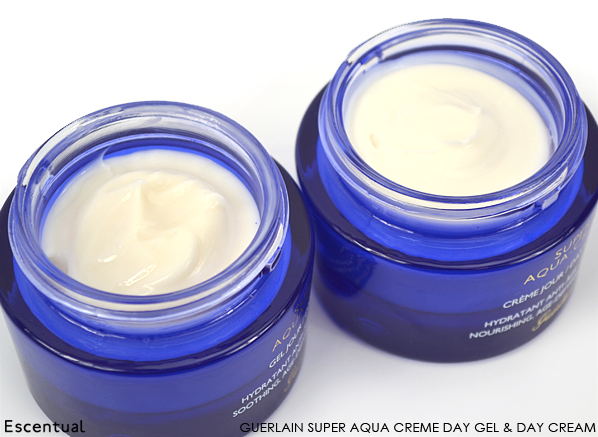 Its denser counterpart, the Super Aqua Creme Day Cream, has a whipped cream texture thanks to a rich infusion of shea. It has a more protective and plush finish for drier skin types, and while it does leave a fine layer on the skin after use, it’s completely comfortable. 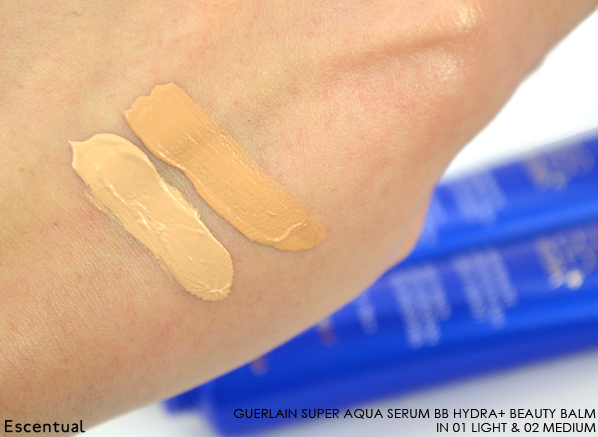 And now for my favourite product from the updated collection: the Super Aqua Serum BB Hydra! Created especially for those who love the plumping effects of the Super Aqua Serum and want to extend the benefits to their make-up, the BB cream intensely rehydrates, smooths and enhances radiance, while protecting the skin with SPF 25 sunscreens. BB Hydra is available in two shades: 01 Light, a neutral hue for paler tones and 02 Medium, a warmer shade. Rather than camouflaging the skin, it offers light to medium coverage that unifies unevenness and tones down redness. Despite the addition of an SPF, it has a really fresh and light texture – if you have oilier skin, finish with a featherlight dusting of powder for a perfect finish. 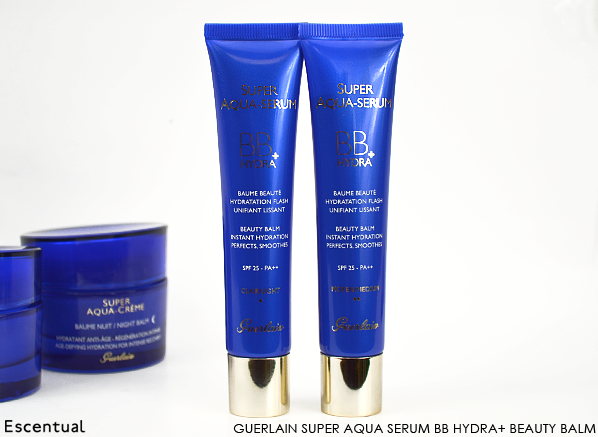 Are you a fan of Guerlain’s Super Aqua? This entry was posted on Friday, May 2nd, 2014 at 11:47 am and is filed under Make-up, Skincare, Swatches, Tried & Tested. You can follow any responses to this entry through the RSS 2.0 feed. You can skip to the end and leave a response. Pinging is currently not allowed.